Skype calling now available on Amazon's Alexa devices. Beginning today, Skype calling is available on Amazon Alexa devices-just in time for the holidays. With Skype on your Alexa-enabled device, you can connect hands-free by saying, "Alexa, call Mom on Skype." In addition to audio and video calling, Skype providing the ability for Alexa customers to call most landlines and mobile numbers internationally using Skype to Phone. With Skype and Alexa, you can now connect with your friends and family around the world completely hands-free. 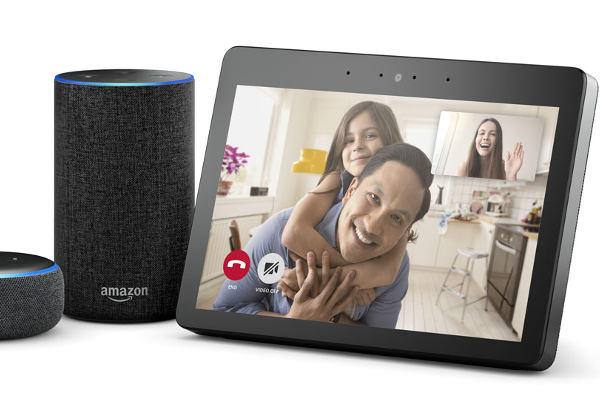 Use Alexa-enabled devices like the Echo Dot to make hands-free Skype voice calls wherever Alexa and Skype are available, or place high-fidelity Skype video calls from the Echo Show and Echo Spot directly to Skype on computers and mobile devices. To get started, simply link Skype with your Alexa account by following the instructions below. 1. Set up your Alexa device using the Amazon Alexa App. 2. Go to Settings > Communication > Skype to link your account. 3. Sign in using the same Microsoft account you use on Skype. After doing this once, you can start using your voice any time you need to make a call. Skype calling on Alexa is available now in the U.S., U.K., Ireland, Canada, India, Australia, and New Zealand with support for other countries rolling out soon. To celebrate the availability of Skype calling with Alexa, Skype is offering 200 free minutes of Skype to Phone calling to 34 countries.